Last test from passed night put an end of the questions witch is better CCD or CMOS. My old CCD K-m fall back compared to CMOS K-5. I tested an image of North America nebula with UHC-S filter that passes hydrogen and oxygen transmission from this emission nebula and cuts off the sky background. The k-m is with IR cut filter removed. 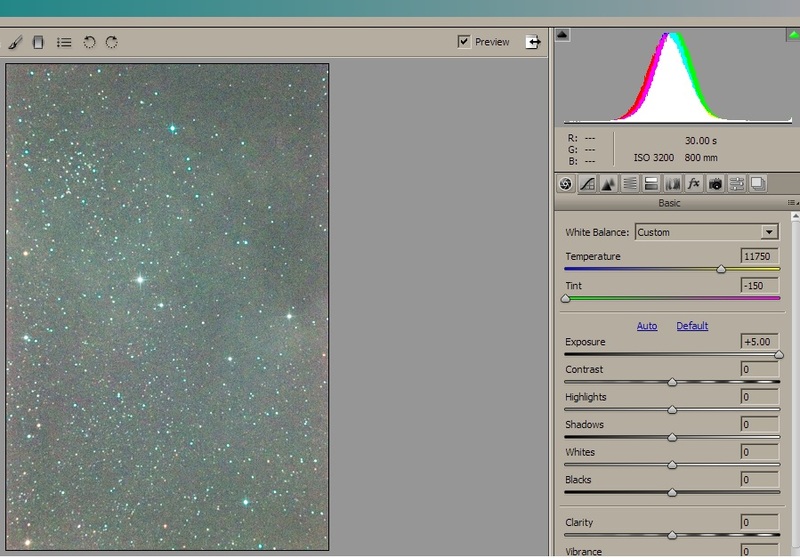 It is expected also to have better sensitivity at hydrogen alpha at least with 2 stops. Thus due to the high levels of noise k-m is not able to show us any signal from the object for this exposure time. Comparison shots are taken with 30 seconds exposure and ISO 3200 (the maximum for k-m). 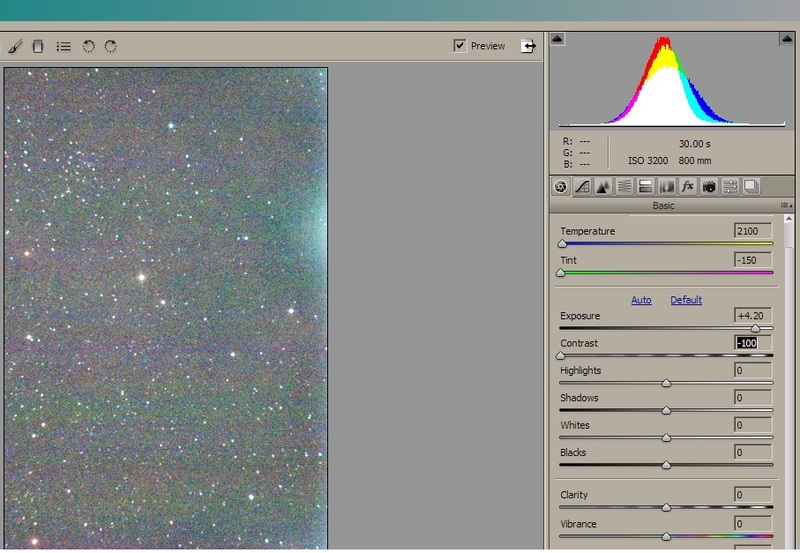 Both images are dark with no details and need further processing. But as you know some of the signal is always hidden. Each camera is shooting at its lowest ISO and then boost the signal to achieve any higher ISO setting. So I did this for both photos taken from k-m and k-5. I used the basic exposure setting in Photoshop to increase it and revel the signal hidden in the dark. It seems that K-m adds additional contrast and I had to reduce it in order to match the shape of the histogram shown from k-5. Conclusion: the CMOS has much lower noise, especially color noise and its luminance noise grain is much smaller. This keeps the faint details and give us impressive results for low light performance.